Enjoy our 10 spacious and comfortable rooms. ENJOY OUR BEAUTIFUL VIEWS ON THE PARK OR ON THE POND. 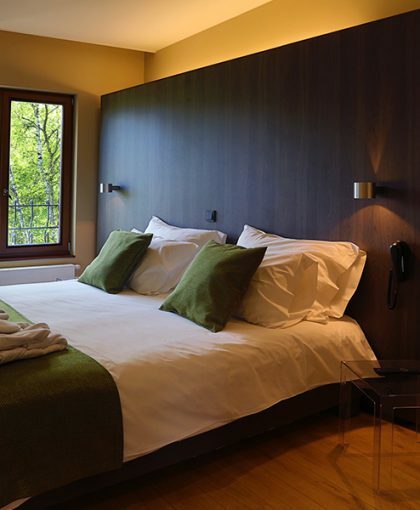 The castle of Arondeau offers 10 hotel rooms, with a refined atmosphere and cozy thought for every detail. You have a beautiful view on the 15 hectares park of or on the water.. In the midst of all the greenery, give yourself a treat, grant yourself a moment of relaxation in one of our carefully decorated modern rooms. In the midst of all the greenery, give yourself a treat, grant yourself a romantic moment in one of our carefully decorated modern rooms. The estate of Arondeau features a castle in the park and at the edge of a lake, to offer quality accommodation. You wish to combine gastronomy and nice accommodations? Whatever your desire, the estate of Arondeau will charm you with its elegant 19th century mansion situated in an exceptional natural environment, next to Péruwelz, in the heart of the geographical triangle of Tournai-Mons-Valenciennes. Reinvigorate yourself Settle into one of our 10 luxurious and comfortable rooms in the hotel within our elegant 19th century residence. Enjoy a pleasant stay where everything has thoroughly been planned out for you. The estate of Arondeau offers rooms with three different styles: the superior comfort room, the room with a tropical shower, and the room with a jacuzzi in the tower. Beautiful rooms overlooking the park and the lake of our estate. 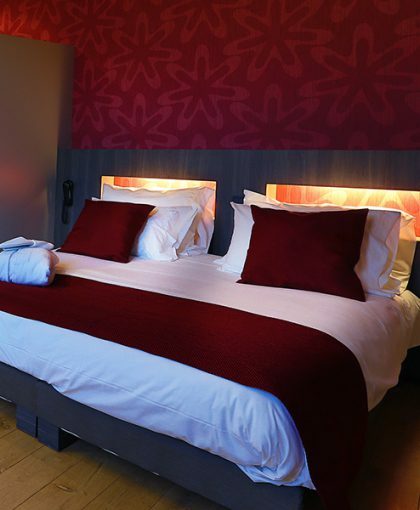 Rooms equipped to meet your every need Enjoy all the furniture at your disposal, Wi-Fi, flat screen TV, hairdryer, kingsize bed, telephone and desk. 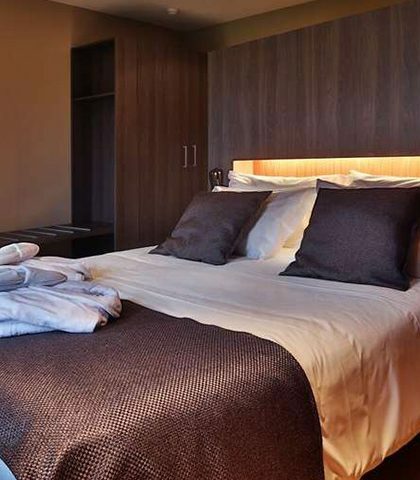 Our rooms are available in single, twin or double. Some rooms offer Jacuzzi, a whirpool bathtub or tropical shower for extra relaxation. Reception room ? More informations ?